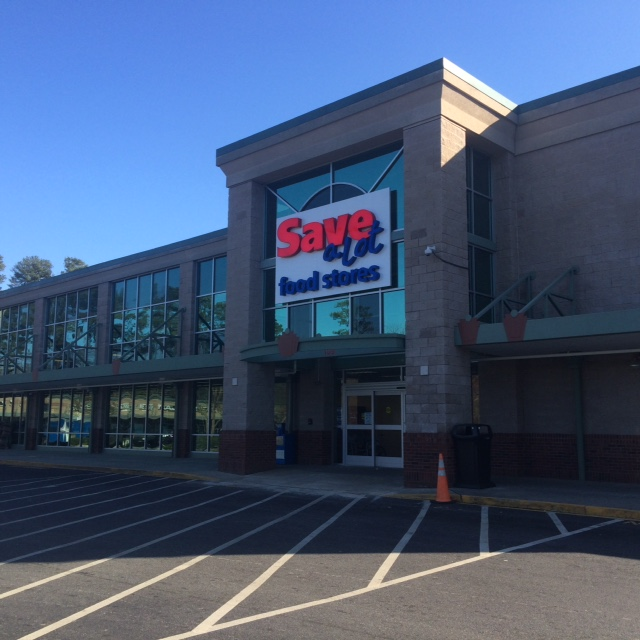 At the intersection of MLK Jr and Raleigh boulevards, you’ll find a brand new Save-A-Lot grocery store. This neighborhood in southeast Raleigh had been without a supermarket for more than three years after the only one in the area closed. Without access to fresh, affordable food including produce, meat, and dairy products, residents lived in a food desert; that is until Save-A-Lot came along. This particular store is extra special to the Food Bank because it’s the first Save-A-Lot in our region to partner with our Retail Donation Program. Through this program, one of our local partner agencies, State Street Community Church of God of Prophecy, will pick up food donations every week from the store, bring them back to their food pantry, and then provide it to the local community. Through their food pantry, State Street Community Church provides food to about 100 families every month, and they are located less than one mile away from the new grocery store. Pastor Jacqueline Kehinde, the director of the church’s community center, has a strong commitment to serving those in need in southeast Raleigh, and wanted to expand their services. She and the members of State Street Community Church have seen firsthand the need for additional food resources in their community, and even though they visit our Raleigh Branch every other week to pick up food to stock their pantry, it still isn’t enough. Now with the donations they’ll receive from Save-A-Lot, they will have more of a variety of fresh food to offer their clients and will be able to provide more food to each family. This new store will have a tremendous impact on their ability to serve local families, and the State Street Community Church team is very excited about it! Moving forward I will work hard to set up partnerships just like this one with the 10 other Save-A-Lot stores in our service area. One by one they will help to fill the gap in food deserts and areas of high food insecurity rates. And by donating food directly to our partner agencies, the stores will be able to keep their donations within their local community and utilize our scarce resources in the most efficient way. It’s a sophisticated program to help solve a complex problem, to be sure. But for us the end result is simple: More nutritious food on the dinner tables of local families in need.